Under Armour wants its Port Covington project to transform Baltimore. Is it ripping off the city to do so? The apparel company’s owner is pursuing a real estate deal that will expand its footprint and help transform Baltimore. Is he asking too much of the city to do so? While many in Baltimore’s political class are cheering the project’s potential to create new jobs and stimulate the local economy, there’s good reason to worry. It’s been a lucrative couple of years for Kevin Plank, CEO of Under Armour, the country’s second-largest maker of sports apparel. His company’s revenue has grown by more than 20 percent for 24 consecutive quarters, and its savvy sponsorship deals—with NBA MVP Steph Curry, pro golfer Jordan Spieth, and ballet dancer Misty Copeland—have turned the brand into a powerhouse that now can plausibly be mentioned in the same breath as Nike and Adidas. Under Armour’s expansion into health and fitness technology has even placed it in competition with the likes of Apple and Google. 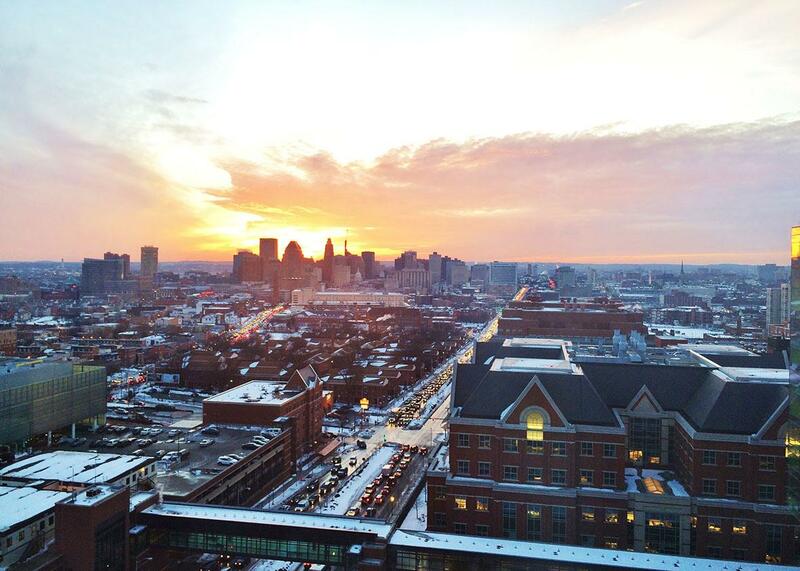 Just as ambitious are Plank’s efforts in Baltimore, where Under Armour’s headquarters have been stationed since 1998. As part of an effort to grow the company’s HQ staff—from its current headcount of about 2,000 employees to 10,000—Plank is seeking to redevelop some 260 acres of mostly empty industrial land on the south Baltimore peninsula. In addition to a new Under Armour headquarters, Plank hopes to create what would amount to an entire new waterfront neighborhood, complete with shopping, dining, office space, parks, and nearly 14,000 residential units. It’s a real estate development project that could transform the city. The area Plank has his eyes on, known as Port Covington, has been an underused eyesore for decades. But while many in Baltimore’s political class are cheering the project’s potential to create new jobs and stimulate the local economy, there’s good reason to worry that if the plan goes forward, it could end up leaving the city’s most vulnerable residents worse off than they already are, all while saddling the city with risk it can’t afford. The problem is that Plank, despite being a self-made billionaire, wants a lot of help to make his vision for Port Covington a reality. To that end, his real estate firm, Sagamore, has asked the city of Baltimore for a record-breaking $535 million in so-called tax increment financing. TIFs, as these types of loans are known, are used to fund infrastructure by selling municipal bonds to private investors, and then property taxes generated by the new development are used to pay them back. Though beloved by titans of commercial real estate, TIFs tend to draw scrutiny because they divert so much money away from a city’s general fund. MuniCap, a consulting firm that Sagamore hired to analyze its TIF application, projects that Plank’s development would not yield property tax revenue for Baltimore’s coffers until about 2040, even as the site would require substantial city resources in the interim. The size of the TIF that Plank has requested is unprecedented for Baltimore. At more than half a billion dollars, it would be the third-largest TIF deal for a private company in U.S. history. And though the money it would raise would go toward funding improvements like parks, roadways, and bike paths, rather than Under Armour’s new headquarters, Sagamore’s project in Baltimore must also be understood as a tool that would help fuel Under Armour’s continued growth. At a time when Baltimore is still reeling from the mass unrest that followed the death of Freddie Gray in police custody last year, the deal—as it’s currently structured—strikes many locals as a handout to the well-heeled. They have a point. Baltimore has a long record of inequitable public investment, with political leaders financing flashy projects in mostly white areas and profits rarely trickling back into the poor, black communities that need funding most. The fear now being expressed by local progressive organizations, housing activists, and labor unions is that, for all the prosperity it will bring Kevin Plank and Under Armour, Sagamore’s TIF plan may turn out to be just another chapter in Baltimore’s history of bad development deals. That’s semantics. There’s little question that Sagamore would benefit from the deal—MuniCap reported that Plank and his investors would earn $400 million more on the development with TIF financing than they would without. On top of the TIF money, the Port Covington project would be eligible for more than $760 million in additional tax breaks. As Barbara Samuels, a fair housing lawyer with the Maryland American Civil Liberties Union, has said, the idea that Sagamore is asking for anything but a subsidy is an insult to the public’s intelligence. “They claim it’s not a tax break, but it most assuredly is a tax break,” says Stokes. Subsidies are meant to generate benefits for cities and are usually reserved for projects that would be too difficult to fund absent government financing. But right now, it’s not at all clear that Baltimore would benefit enough from the Port Covington deal to warrant such a massive public investment. 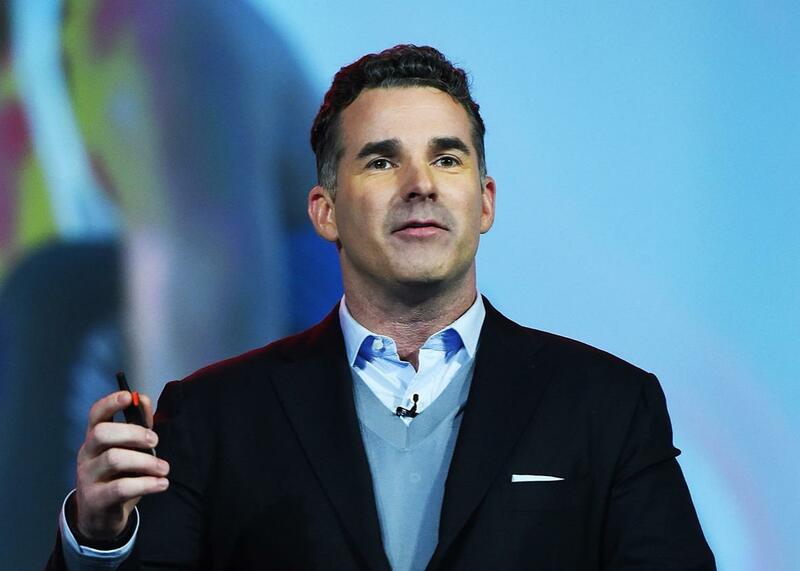 Under Armour founder and CEO Kevin Plank in Las Vegas on Jan. 6. There’s no doubt the city needs more jobs. Nearly 7 percent of Baltimoreans are unemployed, and for young black men, that figure is 37 percent. The city certainly feels indebted to Kevin Plank and Under Armour, too—few other esteemed companies offer comparable employment opportunities for locals. Yet according to Sagamore’s own TIF application, after it’s built, Baltimore residents are expected to fill just a third of the nearly 35,000 permanent full- and part-time jobs projected for Port Covington; the rest of the new employees would live outside the city. And there’s no guarantee, under Plank’s current terms, that they would even earn a living wage. Baltimore’s minimum wage is currently $8.25 per hour and is supposed to hit $10.10 by 2018. A living wage in the city for a childless adult is $12.42 per hour. Community activists also worry that the proposed Port Covington plan would exacerbate racial segregation and do nothing to address Baltimore’s affordable-housing crisis. While Sagamore has touted its (nonbinding) goal of making 10 percent of its residential units affordable, the company defines its market for affordable housing as families earning 80 percent of the area median income of $86,700 per year. Baltimore City’s median income, though, is $42,000. Carol Ott, the director of the Baltimore-based Housing Policy Watch, says if Sagamore is serious about making its units affordable, it needs to use numbers that actually reflect the city’s population. There’s also the matter of how the TIF deal could impact state funding for city schools. The Baltimore Sun reported that the city’s rapid economic growth spurred by local tax breaks and smaller-scale TIFs led to an automatic $24 million cut in state aid to public schools over the past year. This happened because the state assumes Baltimore’s wealth has gone up—based on property values and resident income—but because many of these valuable buildings pay no property tax, little new revenue actually goes into the city’s coffers. Since the Port Covington TIF is far larger than any other project Baltimore has undertaken before, the risk of severe fiscal drain looms large. For now, the state has agreed to not reduce education funding for three years as the Maryland State Department of Education reviews its school funding formula. If Sagamore gets its way, its nearly 600-page TIF application would be approved in just a few weeks—well before the next round of political leadership takes office in January. But local activists and labor unions want to see the plan slowed down, to ensure their concerns about quality jobs, affordable housing, and public education are properly addressed. City leaders are discussing clawback provisions and other safeguards to protect Baltimore taxpayers if Port Covington goes belly up or underperforms, but at this point it’s not really clear what teeth these protections would have. In other municipalities, TIFs have left taxpayers with unanticipated shortfalls or have been used fraudulently by politicians with little oversight. In Chicago, nearly half of the $1.3 billion in TIF funds spent by the Rahm Emanuel administration between 2011 and 2014 went toward downtown gentrifying neighborhoods while blighted communities received little to no investment and saw decreased tax revenue for schools and public services. While those specific TIF funds may never have gone toward needy neighborhoods, these acts of financial engineering, which can place extra burdens on cities and on strained budgets, tend to only benefit the kinds of projects that make developers very rich. When I ask why the project is barreling forward so quickly, Sagamore’s president, Marc Weller, says that if Sagamore’s TIF is not approved as soon as possible, the city “may miss out on hundreds of millions of federal dollars that require TIF approval.” Specifically, he cites federal grant programs, like the Department of Transportation’s FASTLANE grant, which require cities to make local matching contributions in order to access funds. But Weller made clear that government subsidies aren’t the only reason for the rush and that Under Armour’s growth is of pressing concern. The company, he says, “has simply outgrown its space” and therefore needs to “aggressively move forward with the construction of a new campus.” Asked if the company will leave the city if the TIF deal falls though, Geddes answered, “the primary purpose of the Port Covington redevelopment is to allow Under Armour to grow in Baltimore City, and to keep the many direct and related jobs in Baltimore.” #WeWill see.